The Girl With The Spider Tattoo: Give Your Clothes a Fragrance Boost: Purex Crystals Scent Splash Giveaway! Ends 4/9/15! 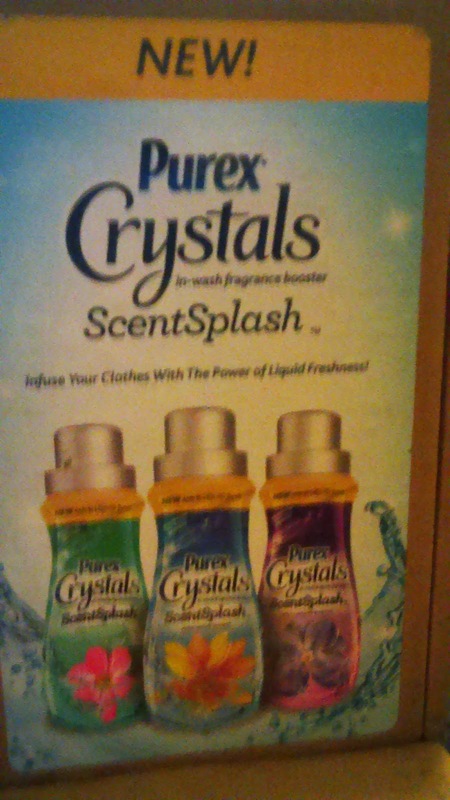 Give Your Clothes a Fragrance Boost: Purex Crystals Scent Splash Giveaway! Ends 4/9/15! Lately, I've been using dye-free, fragrance-free laundry detergent. Why? Because I was able to get two huge bottles at the store on sale. I don't mind it, and it's good just in case anyone in the house has sensitive skin. However, sometimes I like my own clothes to have a really nice scent and with Purex Crystals Scent Splash, I have the ability to do this when I feel like it. I can use it with the fragrance-free stuff, which is great, since it won't conflict with a different scent. It will only smell like the fragrance booster. Fresh Lavender Blossom, Fresh Mountain Breeze, and Fresh Spring Waters. I have been using the Fresh Lavender Blossom scent, but I would really like to try the other scents available. As for the scent that I have been using-- I love the scent of lavender on practically everything. So, yes of course I've been using this stuff on quite a few loads of clothes. This in-wash fragrance booster does eliminate the laundry odors very, very well. It smells incredible. It's not too strong and overpowering. It doesn't irritate my skin. 2 winners will be randomly picked by Gleam. Winners will be contacted via email. Must be 18 or older. Winners will each receive a coupon that can be used to redeem for a free botle of Purex Crystals ScentSplash In-wash Fragrance Booster.